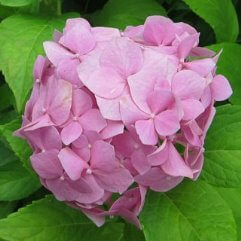 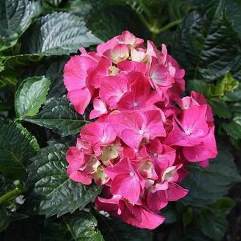 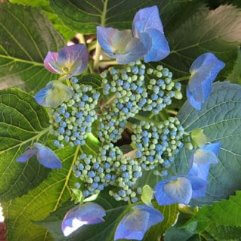 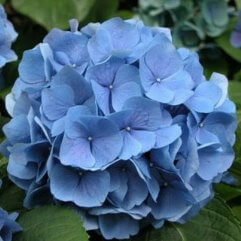 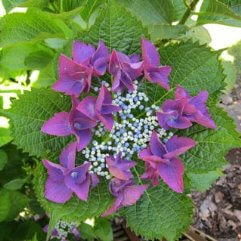 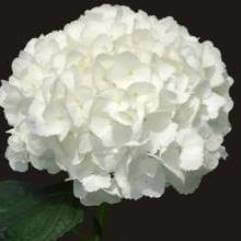 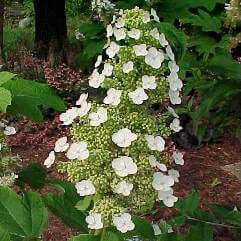 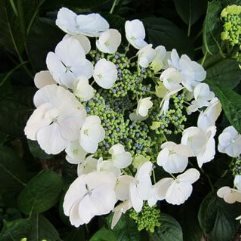 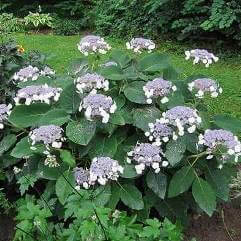 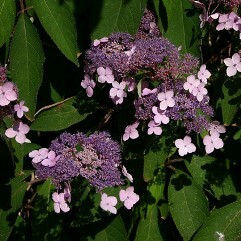 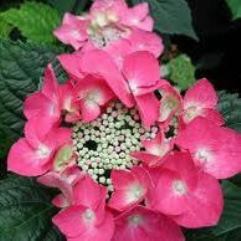 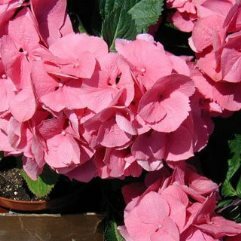 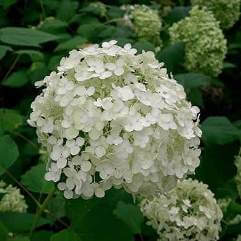 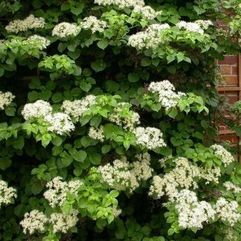 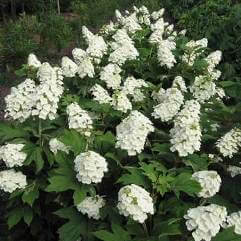 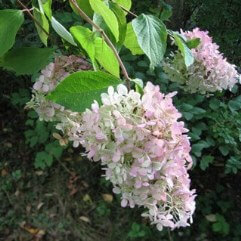 This oak leaf hydrangea has large oblong flower heads of white lace-cap form, turning soft pink with age. 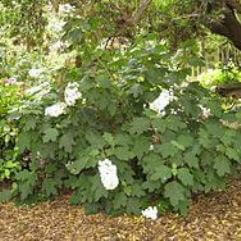 Greek oak leaf like leaves in spring and summer turning crimson in late autumn, when they fall off. 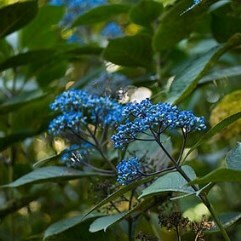 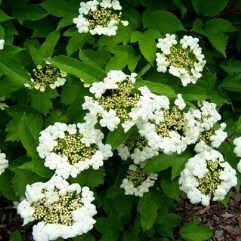 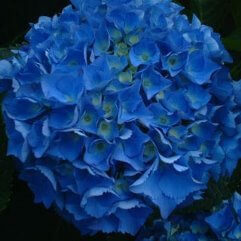 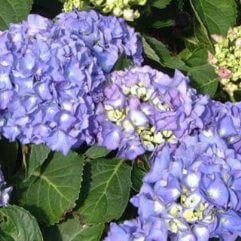 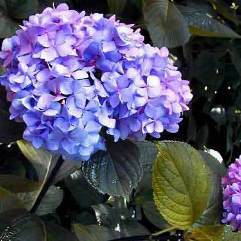 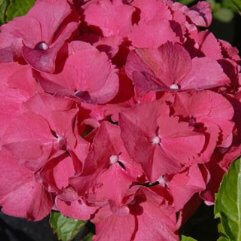 Full sun to part shade, Frost hardy, Drought tolerant once established.